Five Myths on Hair Loss Answered. What advice are we getting from television ads, sitcoms, and friends? People often joke about losing hair from stress, styling, or age. It leaves us wondering, is there any truth behind this humor? We have looked at five common myths or jokes made about hair loss, to bring you the real answers to these claims. Coloring or dying your hair will damage it, and may cause the strands to fray and break. However, it does not affect a medical condition of hair loss, meaning it will grow back intact. The dye does not damage the root, meaning: no, excessive hair dye is not likely to cause permanent hair loss, but it may damage your already dead hair. Hair loss can strike teens and young adults. This is mostly hereditary and the earlier it begins, the more severe it is. Additionally, studies show that men who bald in their early stages of adulthood are more likely to develop prostate cancer. Hats and headbands do not harm hair follicles and roots, unless they are pulling on the hair for long periods of time. Tight pony tails are a common cause of traction alopecia, but pressure from hats is unlikely to accelerate hair loss. Hats can protect you from the sun so we recommend you do wear one if you are in the sun for long periods of time. Ensure that the hats are clean because dirty hats can cause infections, which accelerates any natural hair loss. Rotate and clean hats on a regular basis. Tip—you can usually wash baseball hats in the dishwasher on the top shelf to keep them sanitary! This one is iffy. It is true in a sense. Emotional stress may cause hair loss, but this only affects hair permanently if it would be lost naturally through genetics in the near future anyway. 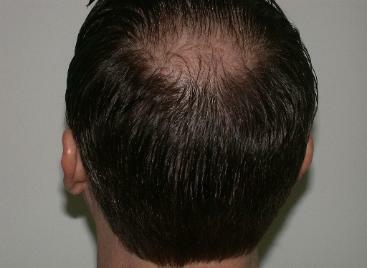 Meaning, it may temporarily accelerate hair loss, but if hair loss is not in your genes, then it will liekly grow back. UV rays may contribute to hair loss. In studies comparing hair loss in identical twins, men who did not wear hats, or use other head protection when outdoors, experienced significantly greater hair loss. In addition, sunburn can damage the scalp, as it can any other area of the skin, and promote skin cancer. Hair doesn’t provide sufficient protection if you are in the sun for long periods of time, especially when you have hair loss. So wear a hat or sunscreen if you are in the sun for long periods of time. 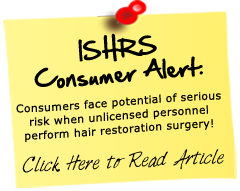 Hair Follicles | Hair Loss and Hair Thinning?